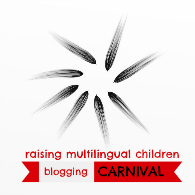 It is my turn to host the Blogging Carnival of the Piri-Piri Lexicon on Multilingual Children. I was very much interested in how parents of bilingual children help they children communicate with their own parents. What is being done and how is is done. The relationships that monolingual grand-parents can have with their bilingual grand-children can at times be quite difficult because of a language barrier, but also because of the culture in which the children are being raised. Grand-parents have to be open-minded and accept that their grand-children would speak another language than their own. The relationship is however very important as the grand-parents are part of the heritage of the children ; they are part of who they are now. Leanna in her post entitled : Grandparents and the Bilingual Child, published on her blog All Done Monkeys tells us on the difficulties which can exist for monolingual grand-parents to have bilingual grand-children and she proposes some great solutions. The most important one being patience and of course looking at all the advantages a bilingual child has. This is a great article about what she likes to call her Monkeys, aka her children. Annabelle also finds that it could be difficult for grand-parents to have bilingual grand-children. In her post 5 tips for the grandparents of your multilingual child, published on her blog, The Piri-Piri Lexicon, she gives five great tips that each of us could be using with the grand-parents of our children, such as repeating, giving out gifts, trying to connect as much as possible. These tips should also be part of our daily routine. In her article She speaks a completely different language, published in her blog Multilingual Parenting, Rita is on a sad note. She is there on the side of the grand-parents who would like to communicate with their grand-children, but…. unfortunately, there is a but, they cannot communicate because of the languages they speak. This is telling us how important it is to have our children speak our mother tongue. Adam from Bilingual Monkeys is full of ideas and tells us how to help the bonding. In his post 3 Good Ways to Boost a Bilingual Child’s Language Ability and Loving Bond with Grandparents, he really encourages us to use the tools we have to take actions in bonding our children with our grand-children. Of course Skype is one of his tools, but also the old fashioned way of writing letters is also a great action. Photos and videos are also great tools to keep every member of the family in touch and sharing what is happening. 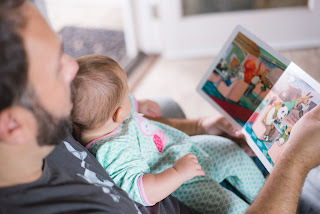 These bonds are also exemplified in another of Rita's great posts Bilingual children and grandparents where she explains how the modern tools can make a huge difference in the relationships monolingual grand-parents can have with the bilingual grand-children. I will end with another post from Adam, Extraordinary Grandparents – Extraordinary Moments, which is a guest post on his own blog. It is an article explaining how it is also on the part of the grand-parents to try and make the effort to bond with their grand-children, especially when they live far away. Little attention and birthday cards for example will help create this bond more than any electronically modern devices. So, yes, it is important to help our children bond with their grand-parents for many different reasons. however, it needs effort and will not happen without working on it. 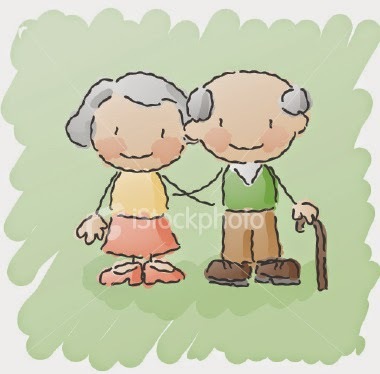 Wishing everybody great relationships with their grand-parents such as I had myself and my children have with their monolingual grand-parents….. we use Skype, but we also send cards and little notes. It is always so great to open the letter box and find a little envelope… with a stamp from another country. Tell us about your stories with the grandparents, we would love to hear about them…. 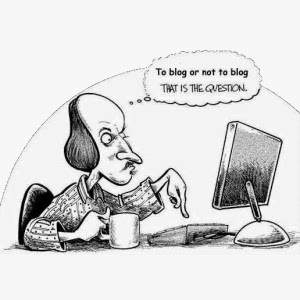 Tous les écrits de ce blog appartiennent à son auteur et ne peuvent être copiés ou utilisés sous tout autre forme par quiconque. Seul les partages intégral sur les réseaux proposés sont autorisés. Le plagiat n'est pas autorisé - Redire ce que l'auteur a dit sous une autre forme peut être considéré comme plagiat. ©Multilingual Café - 2010-2019 - Droits d'auteur - Copyright. Thème Awesome Inc.. Fourni par Blogger.